In many panelboard, switchgear, metering, control circuit and instrumentation applications, space is at a premium. Yet provisions must be made to facilitate troubleshooting, testing, calibration and checkout of relays, meters, transducers, instruments and control systems. 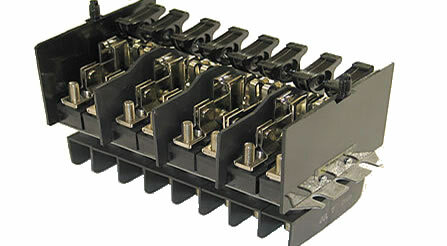 States Type MTS Miniature Test Switches are the compact, versatile solution for disconnecting and testing these devices and circuits.